The #1 New York Times bestselling children's book now available in board book! An unabridged board book for kids version of the bestselling, best-beloved hardcover, perfect for small hands! Even the roughest, toughest readers will want to turn off their engines, rest their wheels, and drift to sleep with this sweet and soothing story. 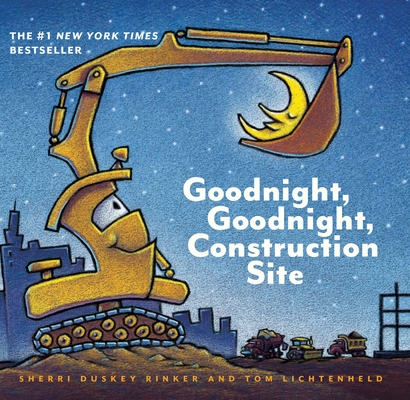 Vibrant illustrations and gentle rhyming text make this construction book for kids a surefire bedtime favorite for truck-crazy kids everywhere. Can't get enough of these tough trucks? The long-awaited sequel to this bestselling book series, Mighty, Mighty, Construction Site, is now available for preorder!